Item # 317921 Stash Points: 2,795 (?) This is the number of points you get in The Zumiez Stash for purchasing this item. Stash points are redeemable for exclusive rewards only available to Zumiez Stash members. To redeem your points check out the rewards catalog on thestash.zumiez.com. 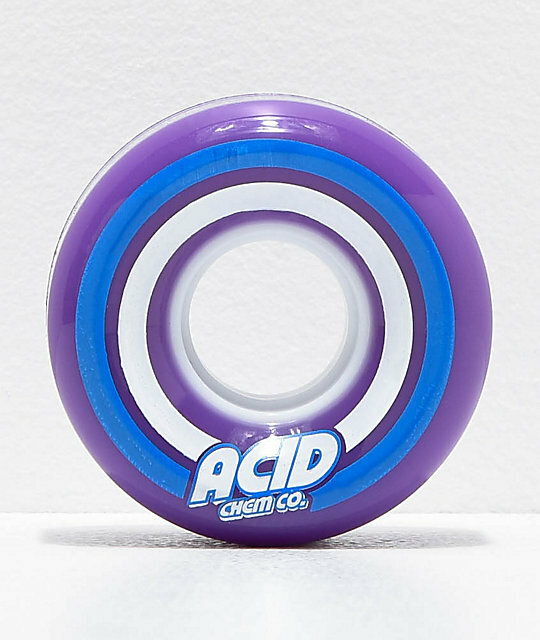 Smooth out your ride with the soft feel of the Acid Pods Purple 55mm 86a Skateboard Wheels. Constructed with an 86a durometer rating, these super soft wheels can handle rough pavement and small debris without a hitch. Complete with a 55mm size for an optimal middle ground of top-end speed and acceleration, these wheels can truly ride anything. 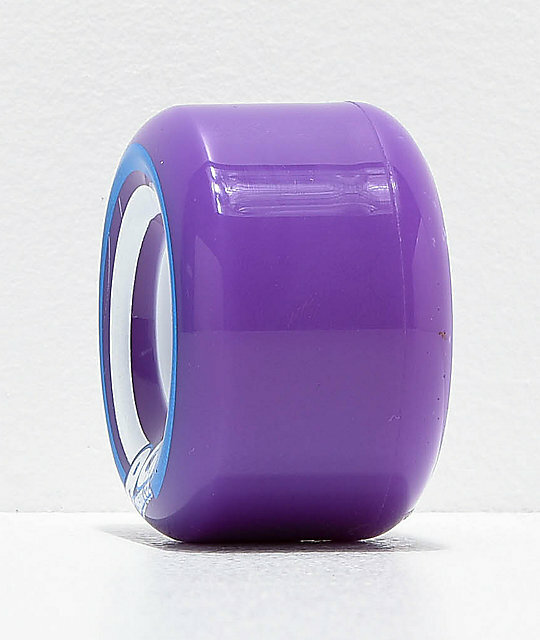 Pods Purple 55mm 86a Skateboard Wheels from Acid Wheel Co.
Set of 4 wheels included.